When you're spending your public holiday having a few beers, like the Diggers would have wanted, you can have a punt at Flemington and maximise your profits with a handy promo from Neds.com.au. 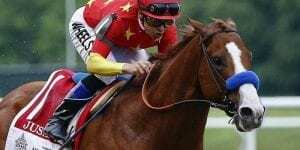 The British Horseracing Authority has cancelled racing in the UK on Thursday following an outbreak of equine flu in three vaccinated horses. Godolphin trainer Saeed bin Suroor has continued his winning month with two-year-old Royal Meeting successful in the G1 Criterium International at Chantilly. 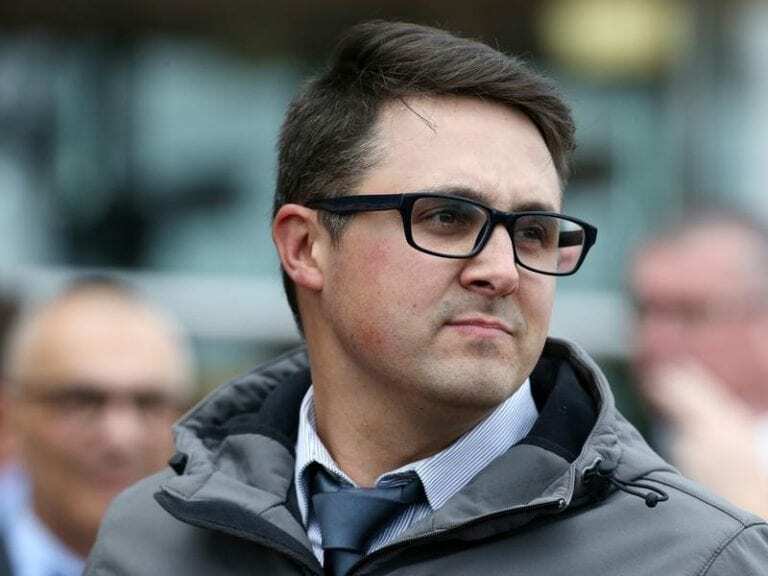 Harry Herbert has resigned as Sheikh Joaan Al Thani's racing advisor with the Qatari operation increasing its presence in France. 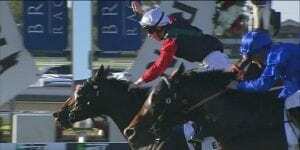 Horsebetting.com.au is a website focused on the one simple thing that should be the aim of all punters: backing a winner. 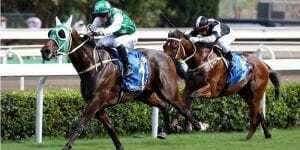 Our team will inform you of the latest news, endeavour to guide you through the wagering landscape, advise you on the most efficient and trustworthy operators in the field of online betting on Australian, and international, horse racing and alert you to special bookie deals to give you a leg-up. We would like to say we will tip you winner after winner but if that were possible we would be sitting on a beach somewhere sipping a cocktail and watching the bank balance soar. But the team at Horse Betting all understand how the industry in Australia works and will aim to improve your chances of getting one up on the bookmakers. 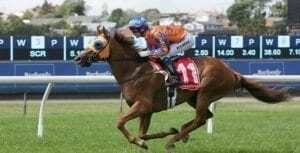 Through many years of trial and error (sometimes quite an expensive learning curve), we have utilised the TABs and bookmakers of Australia, but we find the following to be generally the best in show. They all offer generous sign-up bonuses, and you know when you strike it lucky you are going to be paid promptly and in full. Corporate bookmakers and TAB operators in Australia all have apps available for smartphones and tablets. Generally the two main apps available are for iOS (for Apple devices) and Android (Samsung, Windows etc). Apps allow you to have a shortcut on the home screen of your portable device and they will store your login details so you won’t have to fumble your way through placing a bet when you are in a hurry. Many of the bookies’ apps and mobile websites like BetEasy will allow you to listen or watch the horse racing live, which is a handy feature when you don’t have Sky Racing at your house. Generally to place a bet on a mobile device you either open the app or visit your chosen bookies mobile website and fund your account. 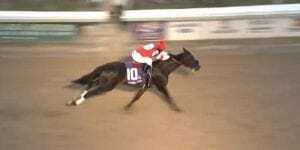 The horse racing section is well defined at all of our recommended betting sites. Not every state in Australia is eligible to receive freebet offers from online bookmakers in 2017. New South Wales, Victoria, Western Australia and South Australia have restrictions placed on them by their respective state governments. But despite this you will find if you sign up at the bookmaker you wish claim a bookie bonus offer at they will email you out the same or similar offer after you have been a member for a few days. Modern freebets generally work as a deposit bonus. As an example, if you deposit $100 dollars you will receive an extra $100 to bet with. This extra amount is referred to as ‘bonus bets’ to dodge the red tape that surrounds freebets. Another way punters can benefit from signing up at online bookmakers is by downloading their apps, some of our recommended betting sites will give a punter a $50 bonus bet for simply getting their app on their smartphone. All of these freebet options generally have wagering requirements attached to them, which basically mean you have to wager the money a certain amount of times before you can withdraw it. In years gone by it has been a case of the Melbourne Spring Carnival first, daylight second and the Sydney Autumn Carnival in third place. 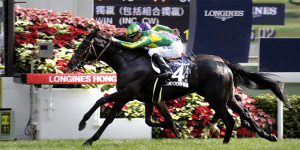 But the launch of The Championships in 2014 in Sydney has provided a worthwhile challenger to the Melbourne Cup Carnival and the rest of the star-studded spring in the Victorian capital. It has not caught up yet, but if The Championships can continue to prosper they may soon attract just as much attention around the country and abroad. The biggest week of the racing year is still the Melbourne Cup Carnival. 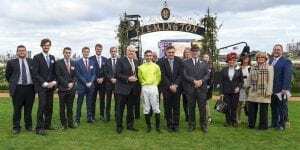 Four meetings at Flemington: Victoria Derby day on the Saturday, Melbourne Cup day on the Tuesday (always the first Tuesday in November), VRC Oaks day (Ladies Day) on the Thursday and wrapping up with Emirates Stakes day on the second Saturday. Derby day is considered by many as the best punting day of the year, with usually 10 races and fields of the highest calibre. 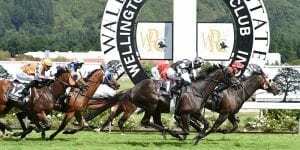 Cup day can be a bonanza for the astute punter with the Great Race awash with cash from the once-a-year flutterer and value to be found everywhere. It’s never easy though, especially with the continuing dominance of stayers bred in the northern hemisphere. 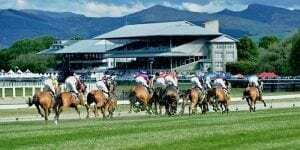 The month leading up to the Cup carnival is also a wonderful time to be following the racing scene. 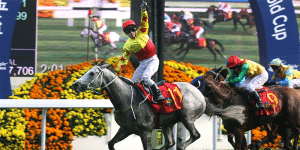 Races such as the Caulfield Cup and Cox Plate are great events in their own right. 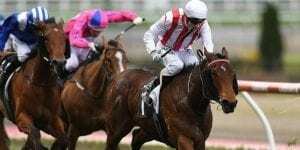 The Caulfield Cup is a multimillion-dollar handicap and the Cox Plate the weight-for-age championship of Australasia run at the great amphitheatre of Moonee Valley. The aforementioned Championships take centre stage with eight Group 1 races contested over two days at Randwick, home to a towering new grandstand and the Australian Turf Club, which was formed by a merger of the Australian Jockey Club and Sydney Turf Club. Day one includes the Doncaster Mile, T.J. Smith Stakes, ATC Australian Derby and ATC Sires’ Produce. 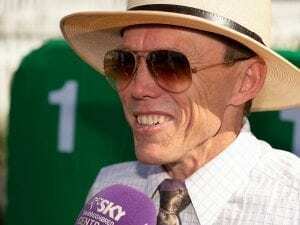 Day two’s rich haul includes the Queen Elizabeth Stakes (a 2000m weight-for-age contest that has designs on taking the Cox Plate’s mantle), Sydney Cup, Australian Oaks and Queen Of The Turf Stakes. Other highlights of the glittering autumn include the world’s richest race for two-year-olds, the Golden Slipper Stakes, at Rosehill. 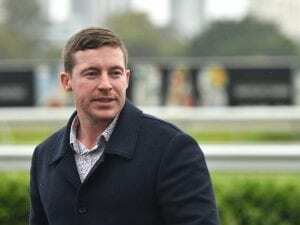 Then there is the Sydney Triple Crown for three-year-olds: the Group 1 Randwick and Rosehill Guineas are the first two legs, with the ATC Derby the classic grand finale. A wonderful time in the southern capital. 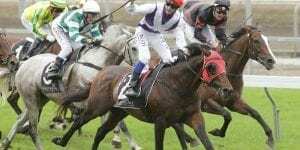 Standout races include Melbourne’s biggest race for the juveniles, the Blue Diamond Stakes. 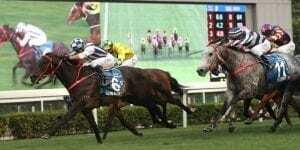 There is the sprint triple crown of the Lightning Stakes, Oakleigh Plate and Newmarket Handicap, while the Australian Guineas is an important race for three-year-olds, with the winner guaranteed a career at stud, provided, of course, it is male and a fully intact one at that . 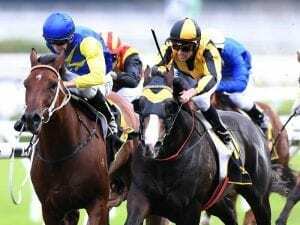 The Melbourne autumn comes to a fitting finale at Flemington with the Australian Cup and Newmarket Handicap sharing top billing on a great card, before the baton is passed on to Sydney. 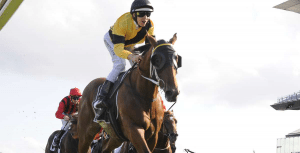 When the fanfare of the Sydney Autumn has died down, all eyes turn north for this carnival, the highlight of which is the state’s best race, the Stradbroke Handicap at the historic Eagle Farm circuit. 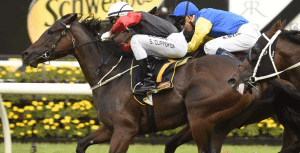 Trainers will target the double of the Doomben 10,000 and Stradbroke. Throw the Doomben Cup and Queensland Derby and Oaks into the mix, and it’s a carnival not to be missed. It’s quite common for horses which emerge during the winter in Brisbane to become major players in Melbourne in the spring. The warm weather does them the world of good. 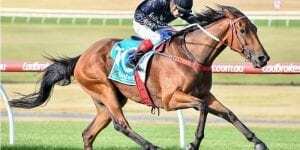 Sandwiched between the Sydney autumn and Brisbane winter comes come a string of feature races at Morphettville in the South Australian capital. There are the group 1 Australasian Oaks, Robert Sangster Stakes for fillies and mares, the South Australian Derby and the state’s biggest race, the 1200m Goodwood Handicap, won by the mighty Black Caviar in 2012. The sun-drenched West Australian capital steps up to the plate as far as racing goes late in the year. 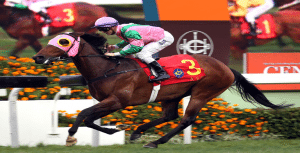 Its greatest race is the Group 1 Railway Stakes over 1600m at Ascot. On the same day, usually in late November, the Group 1 Winterbottom Stakes is contested over 1200m. 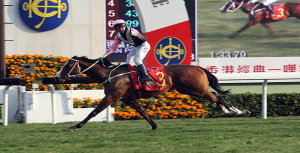 The following week comes the final Australian Group 1 of the calendar year: the Kingston Town Stakes over 1800m. 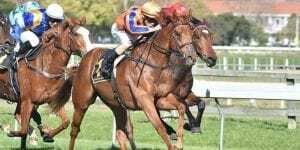 But the carnival rolls on in the west, with another highlight the Perth Cup, a group 2 2400m race contested each New Year’s Day. There are no Group 1s but plenty of prizemoney and pizzazz has made this a real stand-out on the January racing calendar. 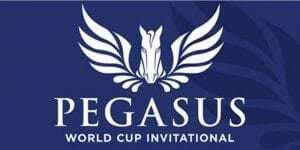 The main races are the sales-restricted $2 million MM Two-Year-Olds Classic and the $1m race for three-year-olds. Plus there are the MM Cup and MM Sprint and a wonderful vibe with many of the heavy hitters of Australian and international racing on the Glitter Strip for the Magic Millions sales, trying to buy a runner in the next year’s big MM race.